There was drama at the populous village in Kenya when a female notorious illicit brew dealer stripped naked to avoid arrest by chiefs. 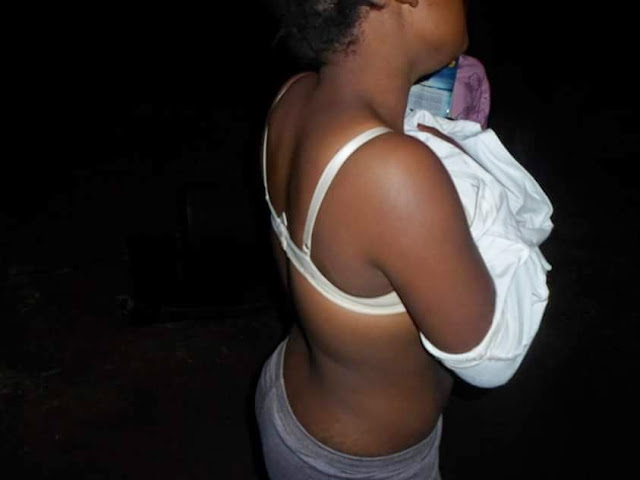 When the woman saw several administrators at her residence on a joint operation to rid the area of illicit brews, she rushed to the toilet and stripped naked to the amazement of all. The undressed middle-aged woman emerged from the toilet forcing the administrators to call for reinforcement of female police officers to deal with the situation. “We could not have arrested the suspect while naked. We had to call female police officers to arrest her,” said one of the administrators in the raid. During the operation, several suspects were arrested and litres of the illicit liquor locally known as Mbangara and pasha impounded. Sub County Security Committee led by the Deputy Commissioner Damaris Kimondo who is also the chairperson and area Police Commander Monica Kimani confirmed the incident and said the suspect was later forced to put on her clothes and driven to the police station where she would be arraigned in court on Monday.